THE HOLIDAY PLACE OF LUCY! 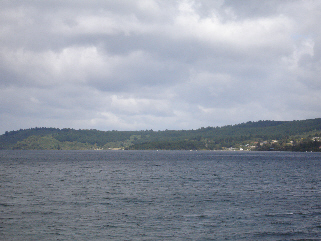 Taupo is centrally located in the North Island of New Zealand. The lake is one great volcano crater, one of the greatest lakes of New Zealand and formed by a volcanic explosion in 186 a C. The lake of about 619km2 big, is surrounded by white pumice-stone and protected rocky bays or creeks. Imagine that! You have the feeling that you are looking over a huge lake or sea but then again you are looking to a huge crater filled with water.!!!! A wonder of nature? It surely is. 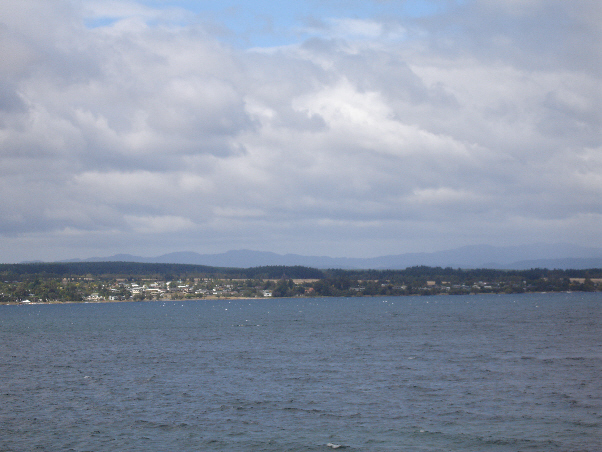 The Lake Taupo region is an exciting landscape of snow capped mountains, blue and emerald lakes, native forests, steaming cliffs, mudpools, mountain streams, rivers, volcanic valleys and tussocklands. It is the ideal place to spend your vacation. Taupo has exciting shops, fabulous food, a stunning lake, fantastic things to do within a short distance of town and beautiful weather in all seasons. Its a town at altitude with attitude, and a place you must stay and relax, try a new adventure, rekindle that romance, or explore the volcanic plateau. The volcanic tops of Mount Ngauruhoe and the with snow covered Mount Ruapehu gives a super panoramic view on sunny days. If you like fishing, watersports or geothermic attractions this is your place to be. Other possibilities are bungee jumping, boat and rafttrips, horseriding, mountainbiking, parachute- diving and golf. Here is also the holiday house of Lucy located but..........also here out of respect I keep this a closed item. The privacy of such a talented person needs to be respected. So I do! As already mentioned on the site of Mission Bay and Waitomo this fits perfect in a way of living as Lucy does. If you are a down to earth person, you love nature and admire the wonder of it, if you enjoy life and need the kiwi relaxation, YOU HAVE WALK THIS PATH! Personally I do now understand why I'm such a full-of-life and sparkling woman. Think I must have Kiwi roots down deep inside. Never, never felt so good as being here in NZ. I felt close to the people and it was as I have been here forever. Way to go Lucy! You made me discover paradise on earth and discover myself! What a GIFT! Thanks honey! Wanna see more? - A lot more on our DVD - for copies mail me through the contact button.